Maxon Motor Australia has released the new GP8A planetary gear head with a torque of 0.150 Nm, 8mm in diameter and with ratios available from 4:1 to 4096:1 as standard. The GP8A gear heads can be coupled with 8mm brushed DC and brushless DC motors and 8mm encoders. All of these 8mm products can be customised to suit specific applications and include the ability to be sterilized up to 500 times and also play free (zero backlash) or low backlash +/- 10 arc seconds. The output shaft of the plaetary gear heads are manufactured from hardened stainless steel and it is supported by dual back to back stainless steel pre-loaded ball bearings with a 5N load carrying ability. The single piece shaft and planet carrier with laser welded shaft collar make the construction as strong as possible. 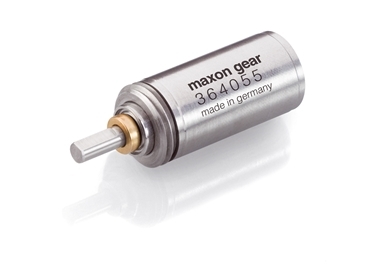 As a result of manufacturing to ISO 13485 certification, the Maxon gear heads are suitable for use in medical devices. The gear heads are already being used in medical pumps and radiography devices. Other diverse applications include space, military, mining and robotics.